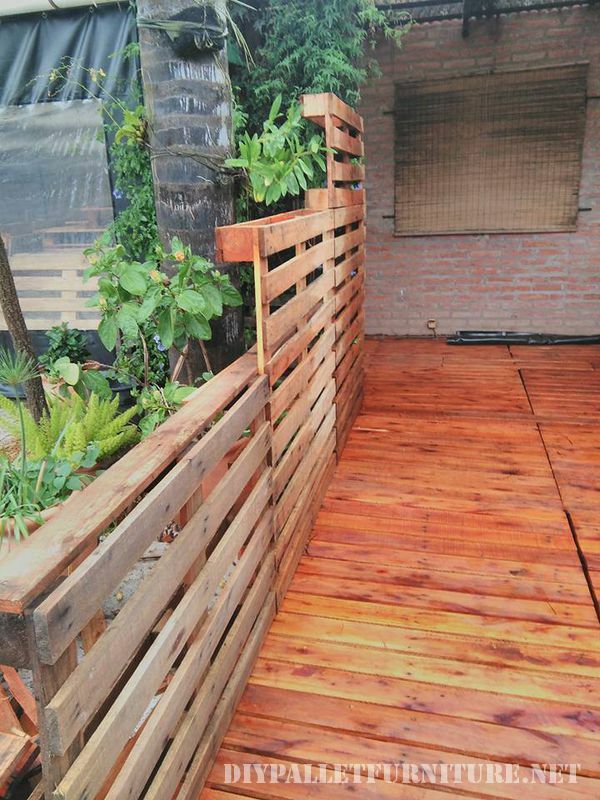 This is a good example from Juan Carlos Canonico of how to take advantage from a completely dead space with pallets. A corner in poor conditions and no role has been perfectly recovered, it only had to be cleaned and covered with a few pallets. In addition to the small resort it has added a wall with pallets. Do you want to look for more floorings with pallets?